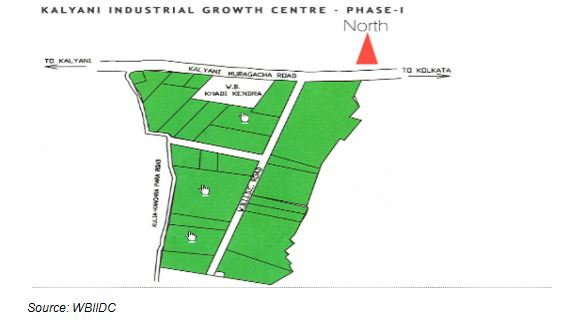 Kalyani Industrial Growth Centre in three locations viz. 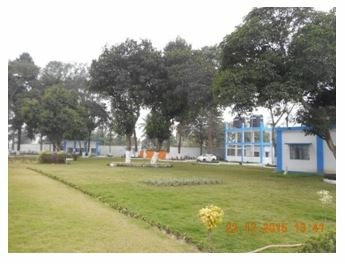 - Kalyani Phase -I, Kalyani Phase -II, Kalyani Phase - III was established in 1976 in the Nadia district of West Bengal. 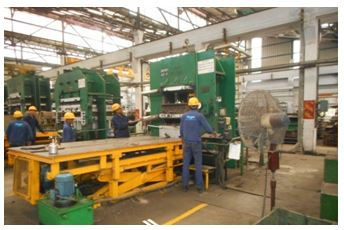 Phase I of the Kalyani Industrial Growth Centre is located within Kalyani Township under Gayespur Municipality at 50 Km distance from Kolkata. Kalyani is a planned city, having underground drainage systems, tree lined avenues, community parks, and paved roads intersecting each other at 90 degree. 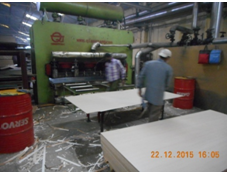 .Kalyani is one of the major industrial towns of the State. Besides, Govt. & Private Engineering Colleges, Polytechnic institution, University and Reputed Schools & Colleges ensure availability of skilled work-force in Kalyani. 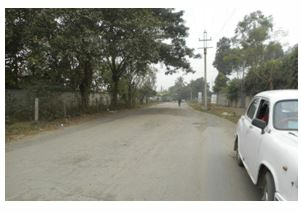 The Growth Centre is well connected by road to Barrackpore Kalyani Expressway (which leads to Kolkata) via Kulia Kachrapara road and NH-34 connector (also known as Kalyani Muragacha road. The nearest station is Kalyani Railway Station, 2.6 km away from the Kalyani Growth Centre. 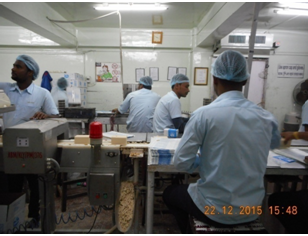 The Growth Centre is situated at a distance of about 50-55 Kms from Sealdah and Howrah railway stations. Rail frequency from Kolkata to Kalyani railway station is very good. 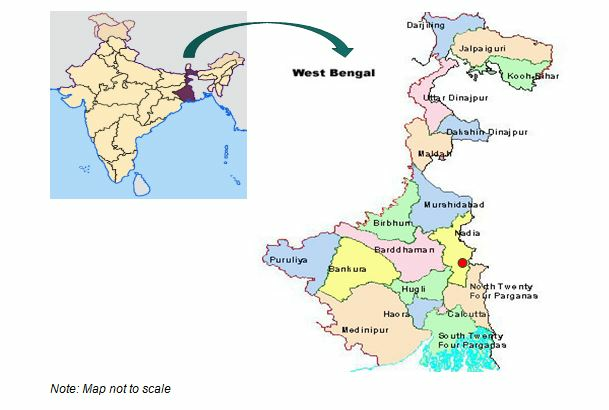 Kolkata port is the closest port to the Kalyani Phase I at the distance of 61.1Km. 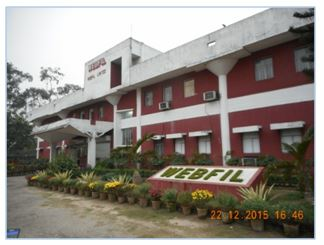 Haldia port is located approximately 158 Km away from the site. The nearest Airport is Netaji Subhash Chandra Bose Airport, Kolkata located at a distance of 48 Km from the Kalyani Growth Centre Phase I. 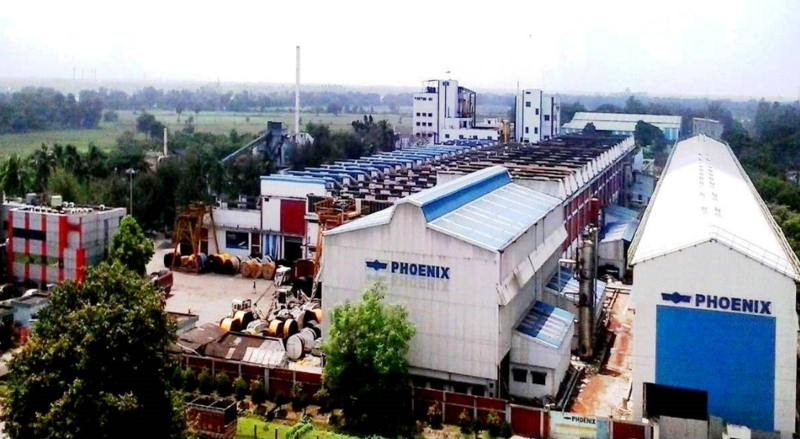 The Growth Centre is providing lease holding to various industrial units and institutions for setting up their plants with Building Plan approved by the WBIIDC itself. Pump houses 3 in no. 1 No. of Reservoirs with capacity 55000 Gallons is under construction. 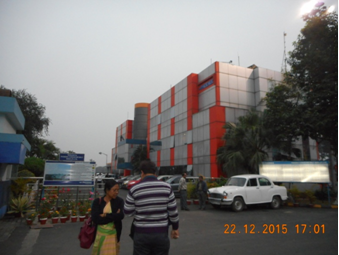 West Bengal State Electricity Board is supplying stable and quality power supply to the Growth Centre. Water is supplied to industrial units by pumping out water from bore wells. Overhead Storage Reservoir is under construction and water will be supplied through storage reservoir. WBIIDC has taken initiatives for solar powered LED street light installation towards utilization of renewable energy and reduction of carbon footprint. Types of units Engineering/ancillary, chemicals, metal-based etc.